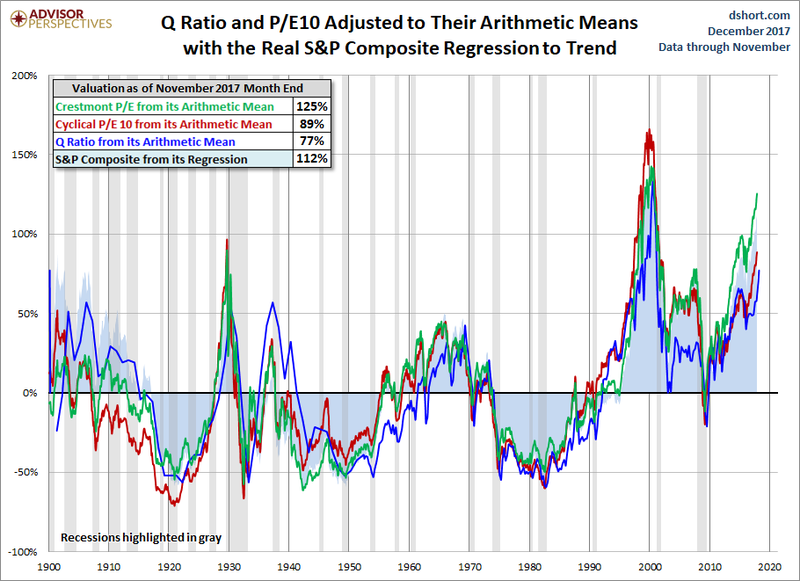 The chart below differs from the one above in that the two valuation ratios (P/E and Q) are adjusted to their geometric mean rather than their arithmetic mean (which is what most people think of as the “average”). The geometric mean increases our attention to outliers. 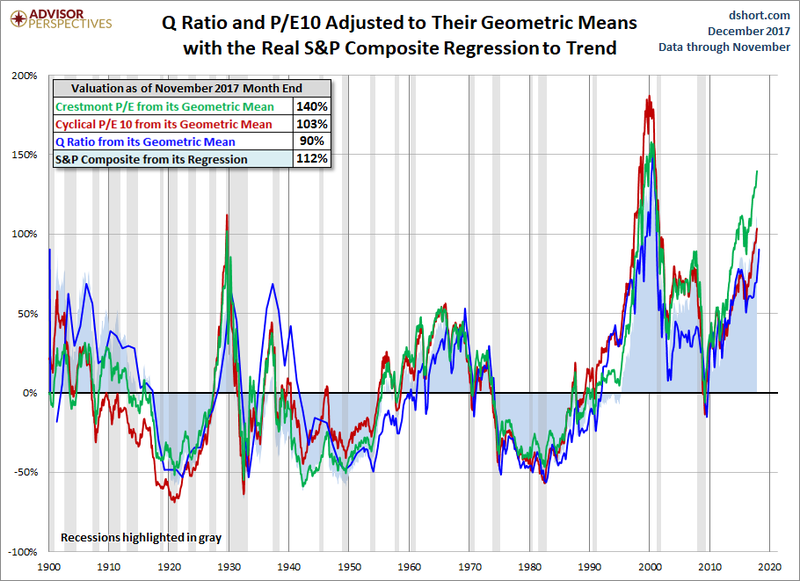 In our view, the first chart does a satisfactory job of illustrating these four approaches to market valuation, but we’ve included the geometric variant as an interesting alternative view for the two P/Es and Q. 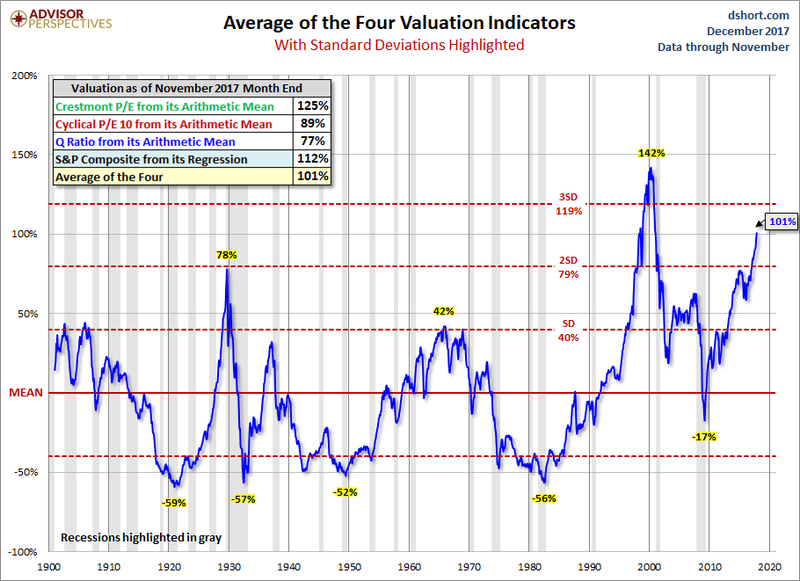 In this chart, the range of overvaluation would be in the range of 90% to 140%, up from last month’s 85% to 137%. At the end of last month, the average of the four is 101% – up from 97% the previous month and at its interim peak. You don?t have to be a genius to reach the conclusion that central banks? dovish tightening really means there has been no tightening of monetary policy at all for Wall Street. But for Main Street, interest rate hikes do have an economic impact that will ultimately end in recession, and like an increasingly stretched elastic band this tension will eventually snap with disastrous financial market consequences. Many clients we meet have similarly apocalyptic views to our own but remain fully invested. They cannot see an immediate trigger for the financial Armageddon that they accept is heading slowly our way. And yet, despite central bankers’ best intentions to kill the free and efficient market, this time something may be changing, and may soon unleash that “shock” event that is so critical for the market to determine just what the new strike price of the Fed put is as BofA explained: that something is China. 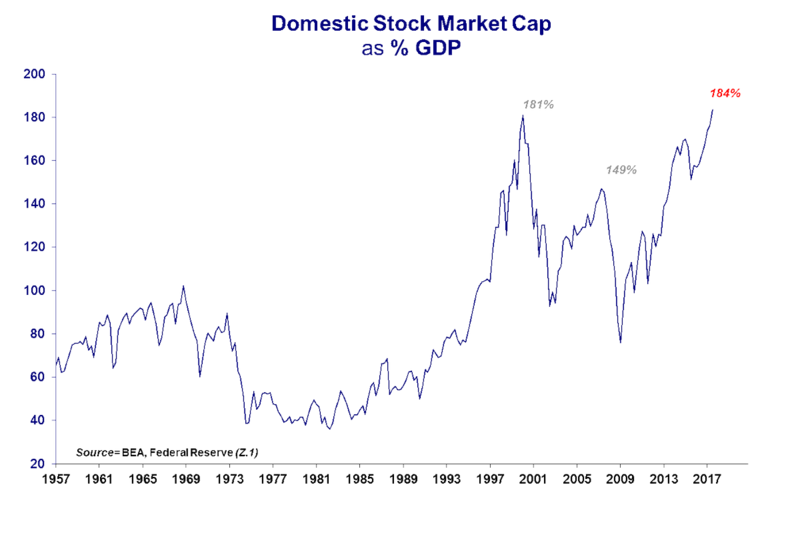 Making the “China” case, Edwards refers to a post we published recently, and cautions that “investors are convinced that China?’s policymakers remain firmly in control of economic events.” Here’s why that is no longer the case. Bi-Weekly Economic Review: Who You Gonna Believe? The movement of the yield curve tells us that long-term bonds are not buying the tax cut growth story.